The Liberty Lifestyle Protector offers comprehensive cover for Critical illnesses and traumatic events you may experience. Lifestyle Protector's critical illness cover, Living Lifestyle, pays a lump sum for a claim arising from one or more critical illnesses that are grouped into 31 critical illness categories. 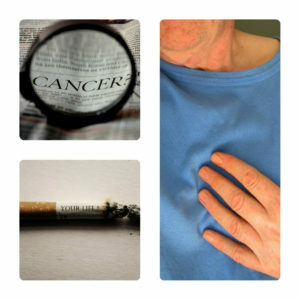 These include, but are not limited to, types of cancers, strokes and heart attacks. For your peace of mind, our Catch-All category provides protection against those unknown and rare critical illnesses not already defined in the other 31 claim groups. 1) It provides comprehensive coverage and financial security for more than 150 different critical illnesses and trauma-related events. 2) Medical Advancements Protection (MAP) is a revolutionary, market first feature. · It is automatically included free of charge. · It helps to give you peace of mind that your cover remains relevant into the future by allowing claims to be paid on new medical assessment criteria, procedures or surgeries, where these have replaced the ones specified in the original cover you purchased. · New claims definitions have been added for conditions and illnesses that were not previously listed. · Higher pay out percentages for certain critical illness conditions. · Certain existing definitions have changed to ensure the highest standards of objectivity and transparency and to take account of medical advancements in recent years. · Provide cover for even more conditions through the Extended Option and/or increase the pay-out percentages for certain claim conditions to 100% with our Top-Up Option. · You can choose cover up to age 65 or for your entire life. · Different versions of cover allow you to decide up front whether claims will reduce life cover or not. · Is automatically included free of charge. · Now includes criteria to make a claim for Terminal Illness. · Now includes Activities of Daily Living criteria at multiple pay out levels in the benefit category. Liberty’s Living Lifestyle benefit is the unparalleled benchmark for critical illness cover in South Africa. The multiple cover options give you complete control to suit your needs and your pocket.